"Tara Sim is the author of TIMEKEEPER (Sky Pony Press, Fall 2016) and writer of all things magic. She can often be found in the wilds of the Bay Area, California. Tara is represented by Laura Crockett at TriadaUS Literary Agency. "I've always loved books and words, and one of my favorite parts of elementary school were the periods where we got to write stories or journal entries. For a long time I thought I was going to pursue music over anything else, and the idea of being a writer just didn't occur to me until I was a freshman in high school. I started and gave up on a few fantasy novels, but then at 15, I completed my very first (and very bad) novel. It was 190k and full of fantasy cliches, but I was very proud of it, and I realized how much I loved creating worlds and characters. My life became music vs. writing, and writing won. After that first book, I knew I didn't want to do anything else." "Yes, all the time. I'll try to find music to fit the tone of the book I'm writing at the time, so it varies. One book was written solely on Imagine Dragons and Of Monsters and Men, whereas Timekeeper was fueled by Lindsey Stirling and Ellie Goulding and the Hunger Games soundtracks. Now I'm writing a book where I need Odesza and Chvrches. So it all depends." "This is like asking me to pick a favorite child! I have quite a few favorites, but in terms of favorite characters to write, I do have a small list. 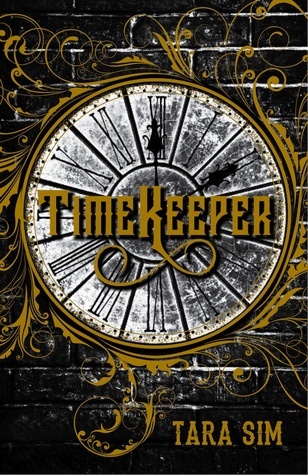 For Timekeeper, my favorite character to write is Colton. He's very different than the others, and it proved to be a fun challenge for me. His personality is also fun to write, because he has a sense of wonder and curiosity that works as a foil to Danny's slightly darker view of the world." If you were to direct a movie about your own life, who would play your character? "Aubrey Plaza, but only if she played me in the same way she plays April Ludgate in Parks and Recreation." How did you get your inspiration for Timekeeper? "I studied abroad in London for a while and loved getting to see Big Ben so often. I was strangely attached to the tower, and I even bought a keychain replica. A couple years later, I was driving and trying to come up with a story idea, and when I saw the Big Ben keychain I began to wonder what would happen if clock towers actually controlled time. Then I thought of who would fix the towers if they ever broke, where this sort of magic would come from...and the world expanded from there." "Right now I have a whole stack of ARCs for upcoming books, including some of my fellow debut authors. 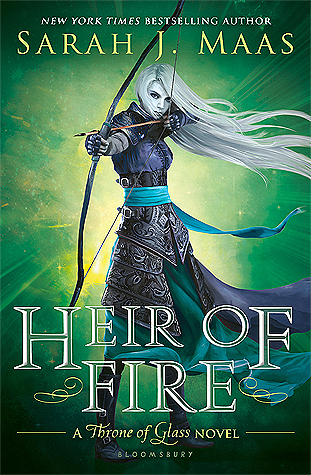 I'm currently reading A Torch Against the Night by Sabaa Tahir and Fear the Drowning Deep by Sarah Glenn Marsh, but on deck is Of Fire and Stars by Audrey Coulthurst, Iron Cast by Destiny Soria, Stalking Jack the Ripper by Kerri Maniscalco, When the Moon Was Ours by Anna-Marie McLemore, and Caraval by Stephanie Garber." Don't miss Timekeeper, which hits shelves in exactly one month (November 1st)!